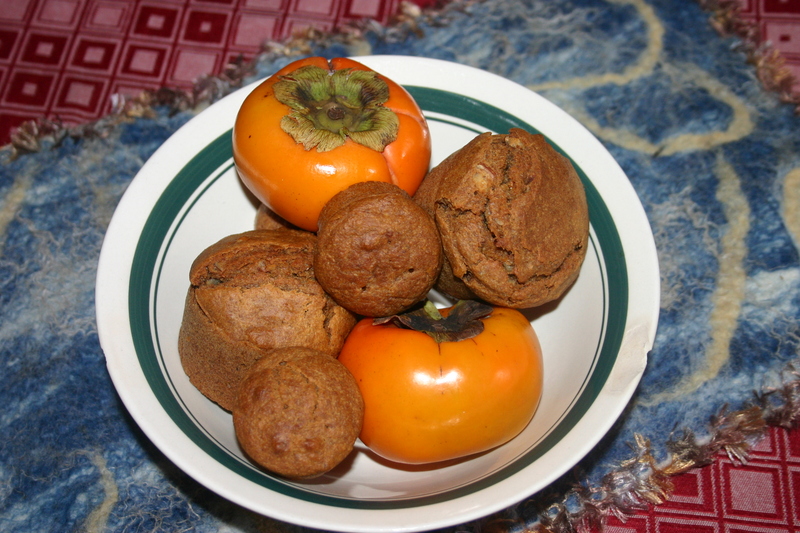 Oh my goodness – why has it taken me so long to discover persimmons? I’d never even seen them before this year. Thanks to Food Connect, from whom I order my seasonal organic fruit and vegetables, I am receiving a beautiful range of seasonal harvest each week. 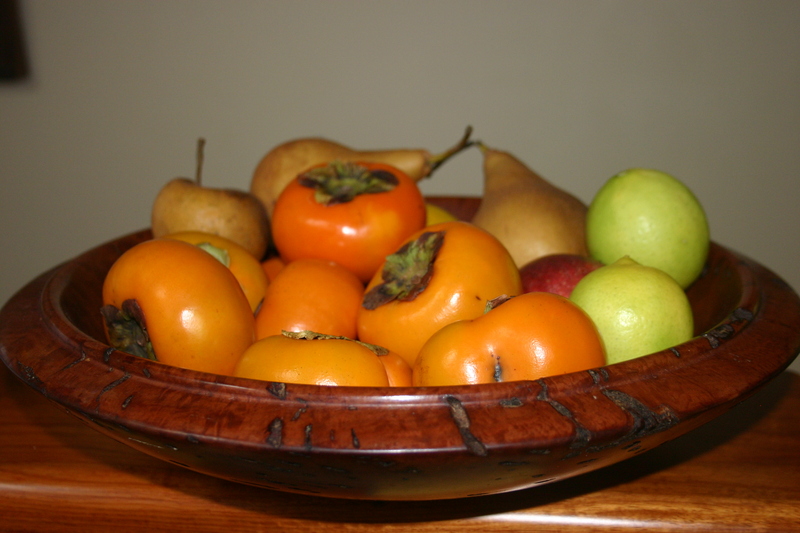 When I first received these strange fruits that look like a cross-breed between a tomato and a mandarin, I suspiciously put them to one side in my fruit bowl – and there they stayed until they were clearly no good and with some relief I had to throw them out. But they just kept coming! Every week! I realised I had to either get over the challenge of a new fruit or cancel my order! I didn’t want to cancel my order so I cut one open. I was gone in the first bite. Mmmm they are soft and sweet inside with the texture of an apricot. Oh my, I’m now addicted and I have discovered how they are even more delicious when you let them get a little over-ripe so that they are soft and squishy inside. I’ve made muffins with them in this post – but my favourite way to eat them is pureed and poured over yogurt with some chopped nuts on top. It is such an awesome breakfast/snack/treat/dessert – all in one. This recipe is a celebration of Autumn goodness, and the letter ‘P’. I only put the pecans in because they made a good ring to the title, but as it turns out they are an autumnal nut so they fit perfectly. These muffins have spelt flour and maple syrup in them so they are not GAPS, and it is to my ultimate frustration that I cannot sample these ones – they look so good! They are, however, free of wheat, dairy, eggs and processed sugar, although there is a hearty amount of maple syrup in there. 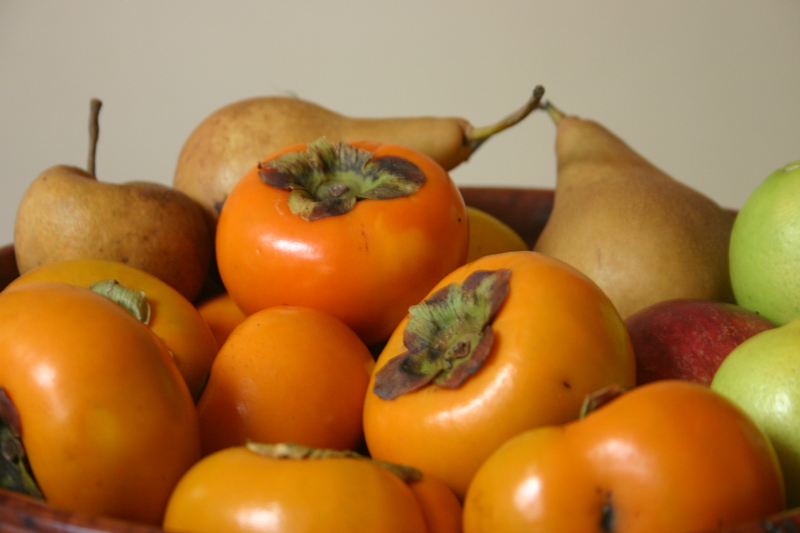 As I cannot taste these I can only say that I suspect you could easily reduce that amount because the persimmons and pears should be pretty sweet in themselves. The next thing I’m going to make is persimmon compote for my dinner tonight (roast pork, with pumpkin mash, persimmon compote and pureed roast pumpkin) – do you sense a theme here? Better steam some peas too. 1) Peel and core the persimmon and pear. Chop them up and blend them into a puree in your food processor. 2) Add all other ingredients except pecans into the food processor and blend until smooth. 3) Add chopped pecans and stir to combine. 4) Pour into muffin trays and bake at 180C for about 20 minutes or until golden brown.